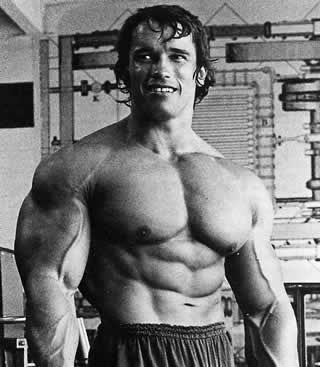 Everybody heard of Arnold Schwarzenegger, he is the most famous bodybuilding name in the world. Below we will see a diet he followed to gain muscle volume and to put muscle weight. The bodybuilding diet plan you see below is from the Arnold's book «The education of a bodybuilder». 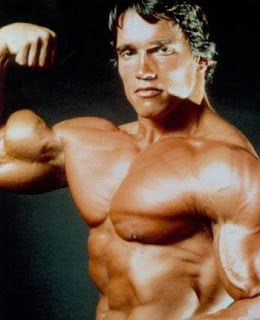 The Arnold's nutritionist for volume, is rich in protein and has too many calories (around 5000 on the day). Half a sandwich with a kind of meat. products and eggs, in this way he was giving to the body the maximum quantity and quality of protein for optimal muscle and best muscle building. If you follow it with proper training, as well as proper rest, then you will certainly add several pounds and very good muscle volume.